Have you ever wondered about the popular fairy tales available in Britain during the Regency? Today I am delighted to welcome Ally Broadfield to the blog with a terrific post that will shed light on that very subject! Pay attention, dear Reader, as M. Perrault will come up again in Book 3 of The Southwark Saga! Please give Ally a warm welcome and be sure to add her new release, Say You'll Love Me, to your TBR list! Take it away, Ally! 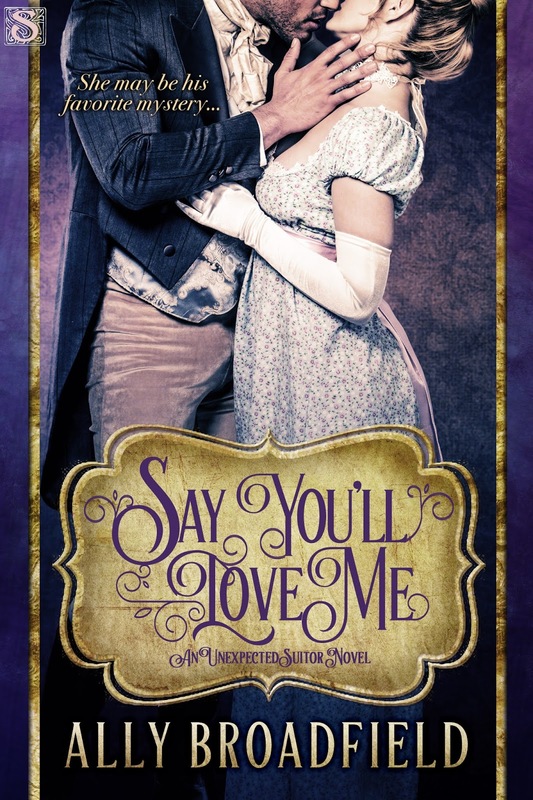 Lady Abigail Hurst, the heroine in Say You’ll Love Me, is a victim of unfortunate circumstances. She has waited patiently for her childhood sweetheart to finally propose, but on the night of their betrothal ball, she discovers he not only has a mistress, but may also be guilty of murdering her. Though Abigail wishes to cry off immediately, her parents insist that she must maintain the engagement and support her betrothed until the true murderer is discovered. As you can imagine, this is a difficult position to be in. Soon after I began writing this book, Abigail made it known that she needed some sort of escape from her dire situation, and revealed that her chosen method of escape was reading fairy tales. Of course, I thought it would be easy. Throw in Snow White and Cinderella and we’d be all set. Except, once I did a bit of research, I discovered that many of the fairy tales we know and love now either weren’t around during the Regency period, or were very different than the stories we’ve become accustomed to. I immediately thought of Grimm’s Fairy Tales, but though their first book was published on December 20, 1812, which is well within the Regency period, it didn’t work for the story for several reasons. First, it was published only in German and wasn’t translated to English or published in Great Britain until 1823. Also, the book, titled Children’s and Household Tales, contained stories that were very different from the tales we know and love today. The stories were written for an adult audience to promote German nationalism and were, in some cases, quite brutal. They certainly wouldn’t qualify as an escape for my heroine, even if she had been able read them. Next, I stumbled upon a lovely site called SurLaLune Fairy Tales, which included a timeline of fairy tales through history. Many of the fairy tales popular today were first written or recorded in France during the late 17th and early 18th centuries. I belatedly remembered one of my own books, a reprinting of some of Charles Perrault’s stories published in his book, Mother Goose Tales, which had first been translated into English in 1729. 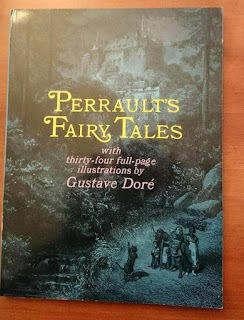 Prior to Perrault’s book, fairy tales had been written largely as cautionary tales for adults, but Perrault was a widower who recorded the fairy tales he told his own children. Perrault is credited with introducing the Fairy Godmother character to the tale of Cinderella, and his is the version Lady Abigail reads in Say You’ll Love Me. She pulled Madame D’Aulnoy’s book of fairy tales from her bookshelf and settled on the bed. Baxter jumped up and lay next to her, placing his head in her lap. She fondled his ears and tried to absorb herself in the story of Princess Mayblossom, but it was no use. She leaned back and closed her eyes. Mayblossom had at first fallen for the wrong man before she found her true prince. Abigail feared she had done the same, but there would be no other prince coming to rescue her from her fate. Perrault, Charles. Perrault’s Fairy Tales. New York: Dover Publications, Inc, 1969. Countess of D’Aulnoy. The Fairy Tales of Madame D’Aulnoy. Honolulu: University Press of the Pacific, 2003. Ally Broadfield lives in Texas and is convinced her house is shrinking, possibly because she shares it with her husband, three kids, four rescue dogs, two cats, a rabbit, and assorted reptiles. She likes to curse in Russian because few people know what she’s saying, and spends most of her spare time letting dogs in and out of the house and shuttling kids around. 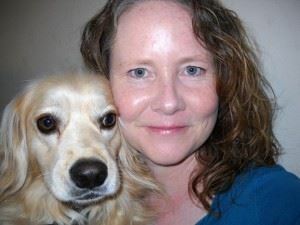 She writes historical romance set in Regency England and Imperial Russia, and middle grade and young adult literature as Ally Mathews. To keep up with her new releases and giveaways, join her newsletter. Sounds like you've written a fun and suspenseful story, Ally! Love all the info about fairy tales -- I'm a big fan of fairy tales and folklore and will look up SurLaLune. Thanks, Barbara! SurLaLune is a fantastic site. Thanks for stopping by, Collette! Love this! Thanks for providing the resources. Wishing you many happy sales! Thanks, Alanna! I hope you find the resources useful. Sounds like a great read. I've added it to my TBR list. :) Congratulations on your release! Thanks, Amy! I hope you enjoy it.